Gossip Stone: Could Zelda Games Use More Magic Spells? The use of magic has been quite limited in the Zelda series, objectively speaking. Magic is often used as fuel for certain weapons, but a few games use it to power special spells, like Ocarina of Time‘s spells named after the three goddesses. The use of magic could easily change in Zelda Wii U, changing another convention of Zelda, but how might it change? What could be done to improve it? Join the discussion after clicking the jump! 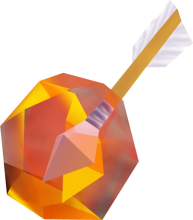 In essence, most Zelda titles have magic in the form of a drainable meter, and use magic as a power source for magical items, like the Ice and Fire rods, or the various magic arrows, and the same is even true for the series’ few spells, really, but perhaps something different could be done with this. A Link Between Worlds was slightly different in the way that every item used the in-game meter, but it slowly replenished itself. This was a nice change in how the magic itself was used, but what about the items using it? 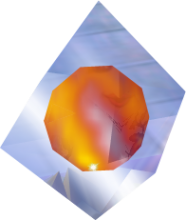 Ocarina of Time‘s spells, again, named after Din, Nayru and Farore, and A Link to the Past‘s spells, Bombos, Ether and Quake, are all examples of what I think there should be more of in Zelda. It makes sense that certain items would use magic, but I believe there should be more actual spells. The Adventure of Link did it first. All of it’s items used zero magic, and it had several spells that drained your magic, which you raised the maximum of when you leveled up. This is common in many recent adventure games, and while Zelda’s usual system of magical items is great, I think that this method makes more sense, and should be used more often that it is. What do you guys think? Should Zelda bring us more spells instead of simply having magic-draining items? What kind of Spells do you think it should have? Leave a comment below!